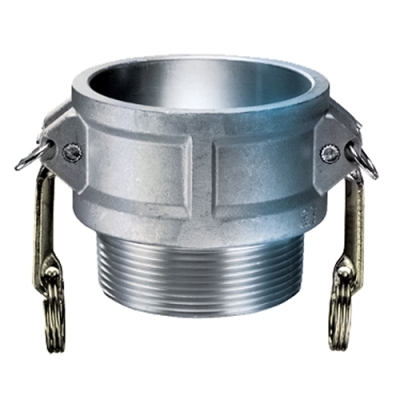 4" Female Coupler x 4" MNPT Aluminum Coupling | U.S. Plastic Corp. Weight: 2.42 Lbs. Pressure Rating: 150 psi @ 70°F. 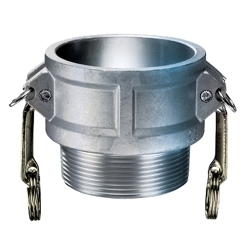 Material Specifications: ASTM B85 Grade 383 aluminum alloy, forged brass handles, Zinc-plated carbon steel handle pins, Zinc-plated carbon steel pull rings, Zinc-plated carbon steel safety clips and Buna-N Gaskets.